A growing student population led to overcrowding at the George Armstrong School. The new 80,000 square foot 3-story masonry addition is fully accessible and complies with ADA regulations. 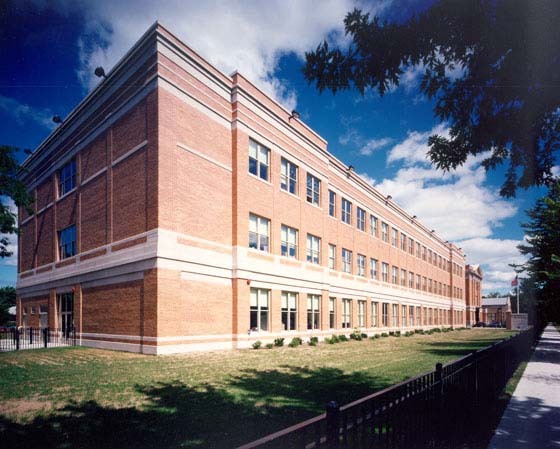 Special features expanded technology programs and provided a computer network, video distribution system, and computer lab. The addition included classrooms, multi purpose areas, library and a new mechanical room. Exterior landscaping and additional parking were also included in the project.